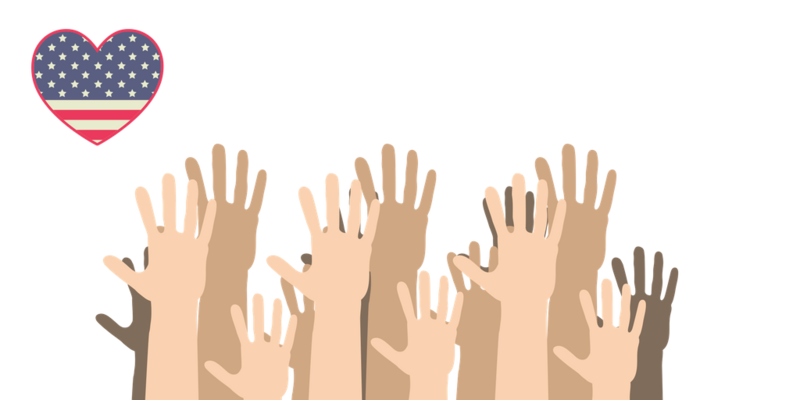 Service-Learning Project Ideas Related to Voting: This set of lessons, service project ideas, and resources are designed to spark ideas for actions related to raising awareness of the importance of voting. From the days of “no taxation without representation” to the women’s suffrage movement and the modern civil rights era, Americans have literally fought and often died for the right to vote. This toolkit contains Learning to Give lesson plans on a variety of voting-related issues; from historical events to documents to actions students can take. You can also find links to outside resources of voting-focused data and organizations. The habit of voting can start early, long before students can register and cast their own ballot in local and national elections. Set up many opportunities to teach the practice of voting. Students can vote on trivial preferences in the classroom. 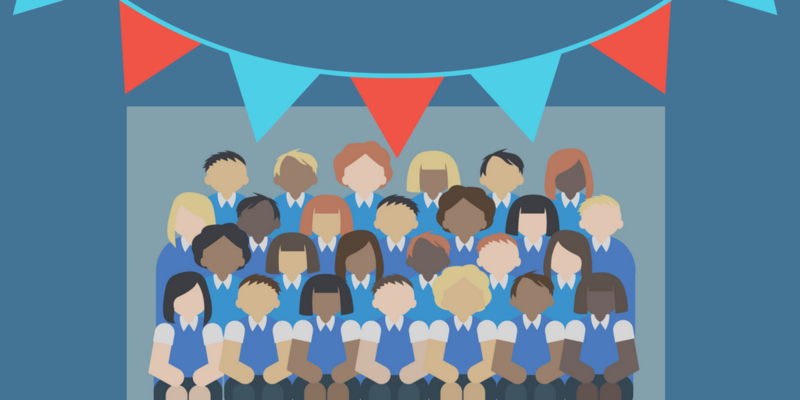 They can lobby for bigger changes at school and in the community, such as for more recess or to organize an event. These experiences teach process as well as tools of research, persuasion, and debate. They also learn on a small scale to tolerate loss or to win with grace. Encourage students to accompany their parents and others to the polls to develop habit and to learn the local and national issues and understand the logistics of the voting process. One of the most valuable things we can do in a time of devisive national politics is to get involved in local politics, where our day-to-day lives are even more impacted. Read the Constitution and the Bill of Rights with your students and discuss the language and intent there. Teach students to trust and respect the system, and seek primary sources for facts and reasonable arguments. We the People Students will learn that in the US, the people hold the power. To Vote or Not to Vote: That is the Question Students discuss the important of voting and encourage voters to go to the polls. Making Our Voices Heard: Vote! Students learn about the importance of voting and think of ways to encourage others to do so. Susan B. Anthony, Activist Students examine the various causes of Anthony and why suffrage was central. The Power of One Students discuss the importance of voting, how voting rights have been historically denied to groups, close elections and “what if” questions. Voting and the Common Good Students examine voter turnout statistics and demographic breakdowns, speculate about the reasons for demographic differences and propose messaging to stimulate better turnout. 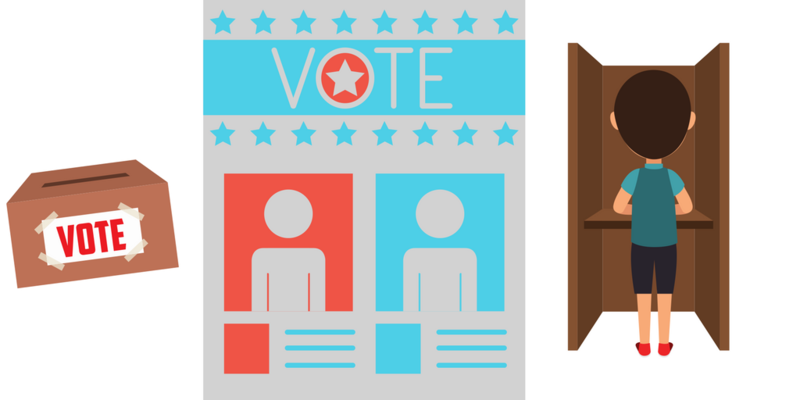 Students may create voting buttons, brochures, and PSAs to persuade about an issue or encourage voting. Students conduct research on issues they care about. Make sure they look for primary resources and contact experts in the issue. For example, there are local nonprofits that may be willing to send an expert to talk to your classroom. They gather facts and take a stand. They decide how they can use language and images to persuade. Teach some visual literacy techniques to communcate effectively. They may create buttons, posters, brochures, or PSAs to tell others about their point of view. The local cable or radio stations may allow students to play their PSAs about issues. Look for guidance online for making an effective PSA. See this Media Communications Guide for classroom tips. Students can research voting statistics and trends to gain a greater understanding of how Americans vote. Direct them to resources online that show how people of different ages and races participate. See Voting Data Information below. This may influence how they direct their get-out-the-vote efforts. Students choose local and national issues that they are passionate about and seek candidates who hold similar views. If it is not clear, students should research or ask for a candidate’s positions via letter, social media, or attendance at a candidate event. With significant planning, the students can host a candidate forum, perhaps teaming up with a local nonprofit like the League of Women Voters. Students research rules and guidelines about where, when and how to register to vote. They can create a registration guide or host a registration drive to help people in the community get registered. Make it simple and persuasive. Everyone has a right and responsibility to vote. There is a national voter registration day in Sepetember, and your local registrar can help students get the word out. Even if students aren't old enough to vote, they can work with a candidate on their election campaign. Students can research local and national candidates and find out what volunteers can do. They can volunteer themselves or let other people know about ways to volunteer. Most often the only reason people don't get involved is because they weren't asked. See below for groups that promote voter education and turnout. The United States Election Project publishes data about recent federal elections. Students can learn about voter turnout by demographics, such as age, ethnicity and race, and education. [www.electproject.org/home/voter-turnout/demographics] Each state has a Secretary of State that publishes state election voter turnout results. Rock the Vote is a nonpartisan nonprofit dedicated to building the political power of young people. Voting rules and deadlines as well as voting rights are broken down by state. On the Know your Voting Rights page, states are rated by whether they protect young people's right to vote, have work to do to protect voter rights, or they have policies that restrict voting rights (leader/slacked/blocker).